It’s a common site on Maryland’s busy roadways: A police officer approaches a vehicle he or she has pulled over in the highway breakdown lane. Or a tow truck driver assists a motorist broken down on the side of the road. Or an ambulance responds to the scene of a traffic accident. These hard-working first responders take their lives in their hands every day while doing their jobs to assist the public and keep our Maryland roadways safe. This is why Maryland passed a “Move Over Law” requiring motorists travelling in the same direction to change lanes to avoid emergency vehicles and personnel in the roadway. If changing lanes is not safe or possible, then motorists are required to slow down to a speed that is safe for weather, road, and traffic conditions — to make sure they can safely pass the first responders and avoid causing a tragic motor vehicle accident. Now, Maryland has expanded its Move Over law to include other types of motor vehicles. Every day, Maryland’s hard-working first responders and law enforcement officers put themselves in harm’s way to protect the public. Now, Maryland correctional officers now join our state’s police officers and firefighters in receiving better workplace injury compensation. On May 15, 2018, Governor Larry Hogan signed Maryland House Bill 205 into law, providing for enhanced Maryland workers’ compensation benefits for state correctional officers who become injured or ill on the job. The bill, which was sponsored by Delegate Luke Clippinger from District 46, Baltimore City, adds correctional officers to the state definition of “public safety employees,” providing enhanced benefits for Maryland Workers’ Compensation claims submitted on or after October 1, 2018. The Maryland General Assembly’s summary of Chapter 589 (House Bill 205) concerning Workers’ Compensation – Permanent Partial Disability – State Correctional Officers, reads as follows…. Most Maryland motorists would most likely admit that reading over their auto insurance policy isn’t high on their to-do lists. 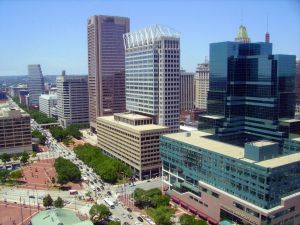 However, as experienced Baltimore car accident attorneys, we know too well from our clients’ traffic mishaps that not knowing what your auto insurance covers can turn out to be very costly. Now, a new auto insurance offering for Maryland drivers may improve their chances of collecting more compensation in the event of a traffic accident with an at-fault motorist who is underinsured. Last year, the General Assembly of Maryland passed a bill into law called the Private Passenger Motor Vehicle Liability Insurance – Enhanced Underinsured Motorist Coverage (“EUIM”). The EUIM law went into effect on October 1, 2017 and applies to private passenger automobile policies purchased on or after July 1, 2018. Now, all property and casualty insurers and producers must offer EUIM coverage to private passenger motor vehicle liability policies. So what does this mean for you as a motorist in Maryland? Did you know…? If you’re inclined to drive an ATV or snowmobile on authorized portions of a Maryland highway, you’ll need a driver’s license? Or that hanging fuzzy dice and other doodads from the vehicle’s rear-view mirror may now be cited as a secondary traffic offense? Those and several other new Maryland vehicle laws went into effect last year — but you might not be aware of them. A recent survey by Esurance revealed that while most everyone thinks distracted driving is dangerous, a majority of drivers are guilty of it. It comes as no surprise that the cell phone is the primary can’t-put-it-down gadget driving motorists to distraction—whether talking on it, reading email or texting while driving (which, incidentally, is illegal in Maryland and most all states). We’ve all seen drivers crawling along in Baltimore city traffic, as well as motoring along our Maryland highways—looking up and down, up and down. This is the tell-tale sign of texting while driving. And it only takes a second with eyes off the road for an accident to happen. Now your fellow Maryland motorists won’t be the only ones watching to see if you’re engaging in texting while driving and other dangerous distracted driving behaviors. April is Distracted Driving Awareness Month. And the Maryland State Police will be on the looking for distracted drivers, who are in large part to blame for a national increase in fatal motor vehicle accidents—reversing a trend that had been on the decline for 50 years. This month, Maryland State Police are embarking on a campaign to crack down on these potentially deadly distracted driving habits. While the cell phone is the primary cause of distraction, it’s not the only one…. Have you ever gotten behind the wheel when you actually felt too tired to drive? Even the most cautious drivers may, on occasion, power through the need to sleep and put pedal to the metal — just to get where they need to go. That’s what hot coffee, a loud radio, and a blast of cold fresh air are for, right? Drowsy driving in Maryland is more common than we’d like to think. But that doesn’t mean it’s safe to do so. A new AAA study finds that drowsy driving may in fact be as dangerous as drunk driving, potentially leading to serious and even fatal car accidents. CBS News reports that while federal sources estimate drowsiness as a factor in one to two percent of motor vehicle crashes — a study conducted by the AAA Foundation for Safety found that number to be much higher. When researchers studied 700 crashes on tape, they found drowsy driving to be a factor in 10 percent of motor vehicle accidents. Are you getting enough sleep to safely get behind the wheel and drive? Takata Air Bag Recall Expands: Is Your Maryland Car on the List? One of the largest and most complex automotive safety recalls in history just got bigger. The New Year got underway with the National Highway Traffic Safety Administration (NHTSA) announcing a further expansion of the Takata air bag recall, which has already affected an estimated 34 million vehicles in the U.S. The Takata air bag recall began in May 2016 based on previous reports of air bags malfunctioning. The problem stems from a chemical used in the air bag inflator to create rapid deployment during a motor vehicle accident. According to news reports, the chemical can deteriorate in hot, humid environments, burning too fast and causing a metal canister to explode, sending shrapnel into the vehicle cabin. NHTSA, which is managing the Takata air bag recall, has added approximately 3.3 million more vehicles to the list. Is your car among them? Despite cars coming equipped with more luxury features and gadgetry designed to make driving easier — driving has become more stressful, here in Maryland and across the US. Blame it on increasingly congested roadways; speeding, lane changing and other forms of aggressive driving; cell phones and other onboard distractions. Our nerves are frazzled and our tempers are short. It’s a recipe for road rage. Maryland Teen Driver Safety : Do New Car Crash Avoidance Features Help Young Drivers Stay Safe on Our Roadways? Nationally, the number-one cause of death in teenagers is motor vehicle crashes. According to the Maryland Motor Vehicle Administration, 52 people were killed and more than 6,700 people were injured in crashes involving teenage or younger drivers (2011–2015, a 5-year average). Everyone looks forward to the long Labor Day weekend — which marks the end of summer and the beginning of the school year. Before we all take a break for our last cookouts, beach trips and family gatherings, let’s consider what the holiday really means.